Located a few hundred miles east of Washington’s most prominent city, Seattle, the Spokane-Spokane Valley market houses nearly 60,000 millennials – each of whom represents a potential buyer. As a result, the local real estate market was the beneficiary of millennial participation. New homes being sold to millennials increased 3.4 percent from 2012 to 2013. Despite the median new-home closing price increasing by as much as 3 percent in 2014, the prospect of owning a home is still manageable, and leaves plenty of room for more buyers to take action. The average price for a new home in this particular area now sits at $242,800, or $146 a square foot. At these rates, Spokane-Spokane Valley rounds out the top 10 housing markets attracting millennial buyers and should only increase as the economy continues to recover. One-quarter of the entire Cape Coral-Fort Myers market, approximately 250,000 people, is made up of millennials. That is to say – the city of Fort Myers is relatively young when compared to the rest of the state. The median age in Fort Myers is currently 37.6, so it comes as no surprise that more millennials are purchasing homes in this particular area. According to data, the market has witnessed 1,007 closings at this point in 2014, rapidly approaching the total of 1,513 for 2012. These numbers represent the market’s growth in new-home demand and suggest continued prosperity. In addition to growth in home sales to millennials, the Cape Coral-Fort Myers market appears primed to attract adult buyers. California, more so than any other state, has experienced significant price appreciation. As a result, Stockton-Lodi is one of the few California markets drawing entry-level buyer interest. Everywhere else is simply too expensive for first-time buyers to even consider. About an hour south of Sacramento, the Northern California market population of approximately 355,000 includes more than 20 percent adult millennials ages 20 to 34 and it experienced a 7.9 percent increase in new-home sales to the demographic in 2013. Unfortunately, the future participation of millennials in this particular market is not as promising as others. Affordability may cause a drop in sales to younger buyers by the end of this year, as the median new-home closing price for the area increased from $359,500 to $402,700 in the first half of 2014. This is a common trend in all California markets. Located no more than an hour north of Denver, Fort Collins is the beneficiary of an influx of younger buyers seeking cheaper housing. With a population of 152,000—nearly 30 percent of which are ages 20 to 34—Fort Collins saw a 9.1 percent increase in new-homes being sold to millennials in 2013. Of particular interest to younger buyers, however, is the lack of dramatic price appreciation witnessed in larger metros. For years, the median new home closing price in Fort Collins has been just over $250,000. Accordingly, it has only risen from $284,300 to $287,200 in 2014. Once again, current market conditions in this area favor perspective first-time buyers. Approximately 20 percent of the nearly 700,000 people residing in these metropolitan areas are between the ages of 20 and 34. Their participation saw an increase of 9.2 percent in new-homes being sold to Generation Y in 2013. Most California markets have appreciated beyond the realm of affordability for millennials, so this is somewhat of an anomaly. Although the market has attracted millennial buyers for the past two years, Metrostudy regional director Greg Gross noted in his market summary the 2014 Housing Leadership Summit that affordability likely will impede future growth in numbers of young buyers. So far in 2014, the market has 1,113 reported new-home closings at a median price of $389,100. Madison Wisconsin’s recent increase in millennial market participation may be attributed to the ratio of college students who are sticking around after graduation to take advantage of the relatively low home values. In fact, the small market has seen a 9.2 percent increase in new homes being sold to younger buyers. This is particularly encouraging when millennials account for 38 percent of the population. However, expectations must be tempered, as affordability may soon prevent new buyers from actively participating in the market. The average cost of a new home has appreciated by $48,000 within the past year. Fourteen percent of the population in this region is between the ages of 20 and 34, making the presence of millennials a prominent one. This age bracket saw a 12.8 percent increase in new home purchases and contributed immensely to the overall housing market. In fact, the increase in millennial purchases helped account for the 24 percent increase the economy saw as a whole. At this point, 2014 is shaping up to be a great year for the southern market. Prices should continue to favor millennials for the foreseeable future, as median home prices are still under $250,000. Considering only 17 percent of the 226,000 people that make up the entire population of the coastal Florida market adult-aged millennials, the 15.7 percent spike in their home buying from 2012 to 2013 speaks volumes. The market is heading on an upward trajectory and millennials have had a lot to do with it. The Palm Bay-Melbourne-Titusville market can attribute nearly 20 percent of new-home closings in 2013 to millennials. With a median closing price of $198,400, this market is the most affordable on the top 10 list. With 433 new-home closings reported in 2014 thus far, the market is positioned to sell just as many new homes this year as last year with a strong possibility for a rise in sales. Nearly 25 percent of the 300,000 people that make up this area of Alabama are between the ages of 20 to 34. The 23.9 percent spike in millennial new-home sales from 2012 to 2013 occurred despite a $52,100 rise in median closing price to $224,700 in 2013. Millennial buyers accounted for approximately 20 percent of new-homes sold in 2013. 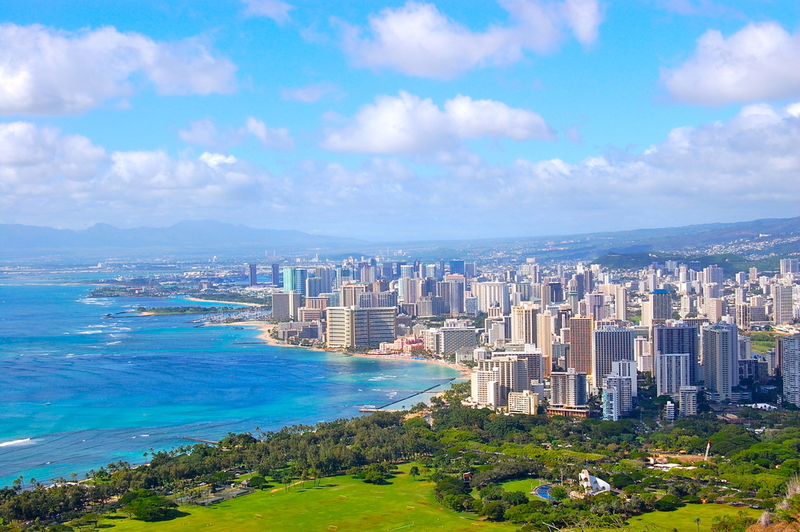 As the number one city on this list, Honolulu has become the beneficiary of a 26.6 percent increase in millennial new-home closings. In fact, 22 percent of the urban population is considered millennials. Despite relatively high prices, this population accounted for one-quarter of new-home sales last year.